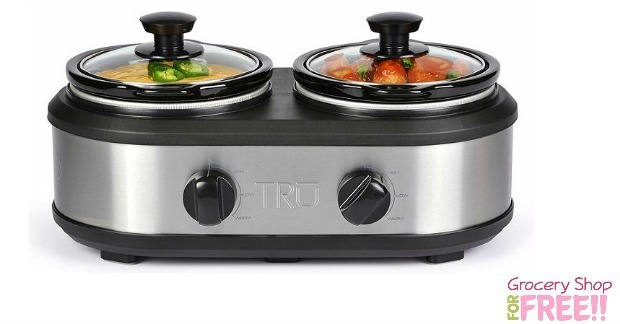 Dual Crock Buffet Slow Cooker Just $9.97! PLUS FREE Shipping! Was $30! You are here: Home / Great Deals / Christmas Deals / Dual Crock Buffet Slow Cooker Just $9.97! PLUS FREE Shipping! Was $30! I LOVE this – I am gonna have to do it! You can get a Dual Crock Buffet Slow Cooker for just $9.97! PLUS FREE Shipping! Was $30!